The Irish bookmaker Paddy Power was founded in 1988 and is considered to be a true institution among the giants of the online betting industry in the UK. The company runs a large number of betting shops in Ireland and the United Kingdom, as well as a telephone betting service. Since 2006, Paddy Power has been offering an online sportsbook. In 2016, it merged with Betfair to create Paddy Power Betfair. In this Paddy Power review, we will take a close look at different aspects of the bookmaker. Among those, we will examine the Paddy Power welcome offer, the sports selection, whether it is a safe bookmaker and the different payment options offered. This offer is a 100% money pay back offer on your first bet at Paddy Power. If you loose your first bet, Paddy Power will credit you the lost bet. This is only valid for new customers residing in the UK or Ireland. After registering at Paddy Power, you must deposit at least 10 GBP. If you place a bet at Paddy Power you can pay out your bet in advance. Thereby you can minimize your risk to loose the bet. Paddy Power offers his customers on different special bet markets extra bets. When you place a bet, that your favorite team might win, Paddy Power increase the potencial profit, or offers you a free bet or you get your money back, when you team wins by 3 goal at any stage in the match, regardless what your first bet was. This offer is a 100% money pay back offer on your first bet at Paddy Powe. If you loose your first bet, Paddy Power will credit you the lost bet. This is only valid for new customers residing in the UK or Ireland. After registering at Paddy Power, you must deposit at least 10 GBP. Back in 1988, three Irish bookmakers, Stewart Kenny, David Power and John Corcoran, decide to merge their 40 betting shops and form Paddy Power. The bookmaker was given that name since “Power” was the strongest brand among them and “Paddy” emphasised the “Irishness” of the brand (as well as the green colouring!). The company’s novelty bets helped the media coverage as well as the controversial advertising campaigns. The parent company of Paddy Power PLC , Power Leisure, was listed on the London Stock Exchange to fund the bookmaker’s expansion into the UK. According to our Paddy Power review, the online sportsbook is licensed in Malta and the UK. The company has grown from 40 brick-and-mortar shops to over 600 in Ireland and the UK nowadays, in addition to the online betting business. Paddy Power usually offers a risk-free bet to its customers, which can vary from 10 GBP to 20 GBP. At the time of our Paddy Power review, by signing up directly at the bookmaker, you received a 10 GBP risk-free bet. However, the website itself points out that this offer changes from time to time, with the total bet amount increasing to 20 GBP. The T&Cs though remain the same. This offer is actually a 100% money back offer on your first bet at Paddy Power, if your bet loses, and is only valid for new customers residing in the UK or Ireland. After registering at Paddy Power, you must deposit at least 10 GBP (or 20 GBP). Please note that Skrill or Neteller are excluded as payment methods for this bonus offer. Place a 10 GBP (or 20 GBP) bet on any sports market at odds of 1/2 (1.50). Only bets on singles, doubles, trebles & accumulators are eligible. If your bet loses, Paddy Power will refund it in cash within 6 hours (during a 9:00 am to 11:58 pm window). Fulfilling the bonus requirements of this Paddy Power welcome offer is not really complicated. Nevertheless, our Paddy Power review has written some simple instructions to ensure you obtain your risk-free bet. Step 1 – Registration: Go to the Paddy Power website and click on the blue “Open an account” button at the top left of the screen. Enter your basic personal information like name, email address, phone number, address, your chosen username and password. Step 2 – Making a deposit: After registering, you are given the chance to make a deposit. Choose the payment method you prefer, but remember that SKrill and Neteller are excluded from this bonus offer. Make a minimum deposit of £10 (or £20). Step 3 – Fulfil the bonus conditions: Place a £10 (or £20) at minimum odds of 1/2 (1.50) on any sports market. Step 4 – Use the risk-free bet: If your bet loses, Paddy Power will refund the amount as cash into your account within 6 hours in most cases. Punters at Paddy Power really appreciate the fact that the bookmaker has a lot of different offers at all times. During our Paddy Power review, we were able to confirm this. One of the many promotions is called “NFL 14 UP”. If your selection is winning by 14 points or more at any time during the NFL game, Paddy Power will pay your bet out in full even when the selection ends up losing. You can also sign up for the “Paddy’s Rewards Club”, which gives you a free bet on a weekly basis. In order to obtain this, you must place five bets of 10 GBP (or more) between Monday and Sunday, and Paddy Power will credit your betting account with a 10 GBP free bet on the following Monday. Additional T&Cs apply. The sports portfolio at Paddy Power is very impressive with more than 30 different sports being offered. Almost every discipline is covered. Of course, there is a strong emphasis on Irish and British sports, such as football, netball, tennis and even Gaelic sports. Horse and greyhound races are also included in the sports selection. The bookmaker is well-positioned when it comes to the depth of the betting markets. For instance, football fans have the chance of betting on more than 60 different competitions and leagues at times and this includes not only single, combination or systems bets, but also long-term bets. For each individual game, there are sometimes up to 100 betting options. Fringe markets are also present here, with exotics like fishing or bowls. Punters who prefer betting on e-sports will be quite happy with the selection offered at this bookmaker according to our Paddy Power review: LOL, Dota 2, Counter Strike, as well as American football and baseball among others. Regarding in-play betting, Paddy Power has a separate tab for this offer. In the case of football, you can bet on almost all the game in real time, and the offer is not limited to European leagues. Paddy Power also offers a wide range of bets in this area. Bets can be placed on a number of sports in the live-betting section: Football, tennis, handball, snooker and even virtual sports. Furthermore, the bookmaker also offers live-streaming for football, tennis and horse racing. This is really a highlight since punters can follow “live” the bets that they placed. Nevertheless, this option is not available for all users, since the selection might be restricted depending on your country of residence. Let us turn to the betting odds at Paddy Power. Our Paddy Power review found that there is truly no reason for complaining here. The average odds are at about 94-95%. Whereas favourites tend to have good values, outsiders might be a little less favoured. In comparison to other bookmakers, Paddy Power is quite good, but not top, even though the odds key rises up to 96% for bets on the Champions League. During the course of our Paddy Power review, the bookmaker has proven to be very serious and reliable. The betting offer is extensive, even though it may seem like there is more emphasis on Irish and British sports. The portfolio is not only wide but also deep. The live streaming option could be extended to include more countries though. The betting odds might not be top, but they are certainly better than average. An excellent customer service, available 24/7, is a plus point. The Paddy Power Welcome Offer is a good opportunity for newcomers to try their luck without any risk. What is more, the bookmaker has a myriad of different offers on a regular basis. In other words, Paddy Power is a bookmaker that is definitely worth trying. The payment portfolio at Paddy Power is quite varied. Deposits can be made by credit/debit card (VISA, MasterCard), e-wallets (even PayPal) and bank transfers. This Paddy Power review was delighted to see that no fees are charged by the bookmaker for deposits. Minimum deposit amounts vary from 5 to 10 GBP. As a rule, your funds are deposited immediately in most cases. As usual, bank transfers do take some more time, up to 5 days. Step 1 – Go to the banking section of your account: Log into your Paddy Power betting account, click on the “My Account” tab and then on “Deposit”. Step 2 – Select the desired payment method: Choose a payment option, select the currency and enter an amount. Step 3 – Transact: Enter any additional details required by the financial service provider of your choice and confirm the transaction. Your funds should appear in your account right away in most cases. There are a number of Paddy Power withdrawal options available. Most punters prefer using the same method for deposits and withdrawals, thus avoiding an additional account verification. The minimum withdrawal amount is 10 GBP for the majority of payment methods. The processing time can vary. In the case of e-wallets, it ranges from one to four hours. For debit and credit cards, it might take between 2 and 3 days, and up to 5 days for bank transfers. All transactions are free of charge at Paddy Power. The customer support at Paddy Power is available in English and around the clock. The live chat is the fastest way to get answers to your questions and it is available 24/7. During our Paddy Power review, the support team responded competently within seconds. There is also a free telephone hotline that you can reach by dialling 08000 565 275 in the UK. Punters abroad can call 00353 1 9050131. If your matter is not urgent, you can also send an e-mail to support@paddypower.com. In addition, Paddy Power has FAQs in its help section, giving explanations on various aspects of the bookmaker. According to our Paddy Power review, the bookmaker is very much present on social media. With more than 600.000 followers on Twitter (@paddypower), the bookmaker uses this channel to promote offers, publish news about matches, odds and any other relevant information. 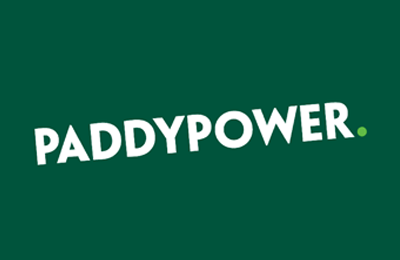 In addition, it also uses @AskPaddyPower as an account for giving advice and help to users. Moreover, Paddy Power can also be found on Facebook, Google+ and YouTube. Reliable or scam: How safe is Paddy Power? Feeling safe is important for punters betting at an online bookmaker. Paddy Power is a serious betting provider that has been in the betting business since 1988. The Irish sportsbook is extremely popular in Ireland and the UK. Since the bookmaker is licensed not only in Malta but also regulated by the UK Gambling Commission, this Paddy Power review finds that those are clear signs of respectability. In addition, the bookmaker is an official partner of the Arsenal Football Club and the Welsh Rugby Union. This speaks in favour of the level of professionalism and efficiency of Paddy Power. Regarding data protection, all transactions made with the bookie are encrypted using 128 bit SSL encryption. What is the Paddy Power Bet Calculator? The Bet Calculator is a tool that is offered to members of Paddy Power. It can be used for all of your betting needs. For example, if you want an accumulator bet, you can insert the odds and get a returns total by entering the amount you are willing to wager. Paddy Power was founded in 1988 when David Power, Stewart Kenny and John Corcoran, Irish bookmakers, decided to join forces and merged their 40 betting shops. Now there are around 600 shops in the UK and Ireland and more than one million customers internationally. Is there a Paddy Power Cash Out feature? Yes, there is. With the Cash Out feature you can verify the status of your Cash Out bets. Wherever you see the Cash Out logo, then this option is available for singles and accumulators. You no longer have to wait for your bet to finish to obtain your profit, since you can “cash out” early, no matter how the event ends. Is there a Paddy Power app? Yes, there is. You can download the app and bet on the go. The Paddy Power app is one of the most efficient one on the market according to our Paddy Power review. It is user-friendly and can be downloaded via the main site, iTunes or Google Play Store. What are Paddy Power Money-back specials? Paddy Power is a bookmaker renowned for its Money-Back specials. These are offers where you can get your stake back on a bet you placed if something particular happens during a match of any sport. The exact offers are specified every day on the Paddy Power website.